Have you always wanted a fireplace, but don't have a chimney? Providing a real flame with no venting necessary, a gel fuel fireplace is the perfect solution. We love Holly & Martin's Salerno Gel Fireplace in Ivory! Fluted columns on each side and a decorative scroll appliqué create a beautiful home accent. 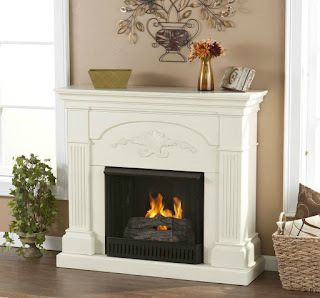 Portability and ease of assembly are just two of the reasons why a gel fireplace is perfect for your home or apartment.